Erin Keller received a Bachelor of Science degree in Molecular and Micro Biology from the Burnett Honors College at University of Central Florida in 2006 as a High Achievement scholarship recipient. While at the University of Central Florida, Erin participated in research on the function of the Omi/HtrA2 protein with respect to apoptosis. 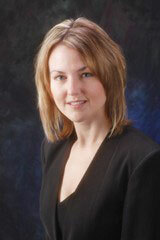 Erin graduated from Case Western Reserve University School of Law in 2010. While in law school, Erin assisted Craig Nard, the founding director of the Center for Law, Technology and the Arts at Case Western University School of Law, in his research on the progression of intellectual property legislation. Erin joined the firm in 2008 as a law clerk and subsequently became an associate upon graduation from law school in 2010. Her patent experience spans technologies in electrical, computer, chemical and biomedical science, mechanical engineering and business method arts. In particular, she has experience with inventions related to telecommunications systems and networks, digital signal processing, computer software and hardware, interactive media, semiconductors, analog and digital circuits, sensor technology, gaming, medical devices, biomedical materials, financial services and e-commerce. 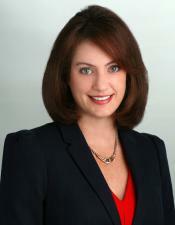 Erin was admitted to the State Bar of California in 2010 and the U.S. Patent Bar in 2011. J.D., Case Western Reserve University School of Law in 2010. B.S. Molecular and Micro Biology from the Burnett Honors College at University of Central Florida in 2006 as a High Achievement scholarship recipient.